2018 The Astrophysical Journal 867 97. 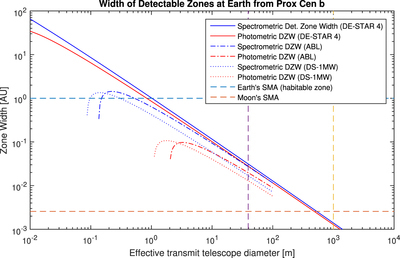 Detectable zone width vs. effective beam waist for beams transmitted from Prox Cen b to Earth. 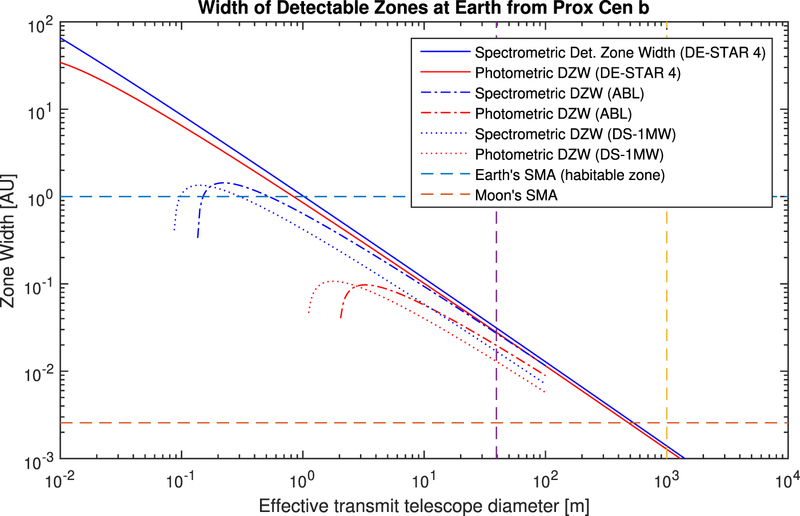 The vertical dashed lines mark the nominal diameter of the ELT (left) and DE-STAR (right). © 2018. The American Astronomical Society.